One thing that remains the same: SEO is forever changing. So, what’s the next big thing in digital marketing? One of the most influential changes we are currently experiencing in local SEO is the rise in voice searches. According to Google, 20 percent of its mobiles search queries are made through voice search. Siri, Cortana and Google Now have revolutionised the way people search for content. If this trend continues, like we expect it will, this is only the beginning and voice search may even overtake traditional keyboard search. Why is voice search on the rise? Think back to the early days of using Siri to search. “I didn’t quite get that” or “sorry, I missed that” were among the most frequent responses. It was more of a hindrance than a help. Now, the accuracy of voice search is up by 92 percent. That’s a huge improvement! 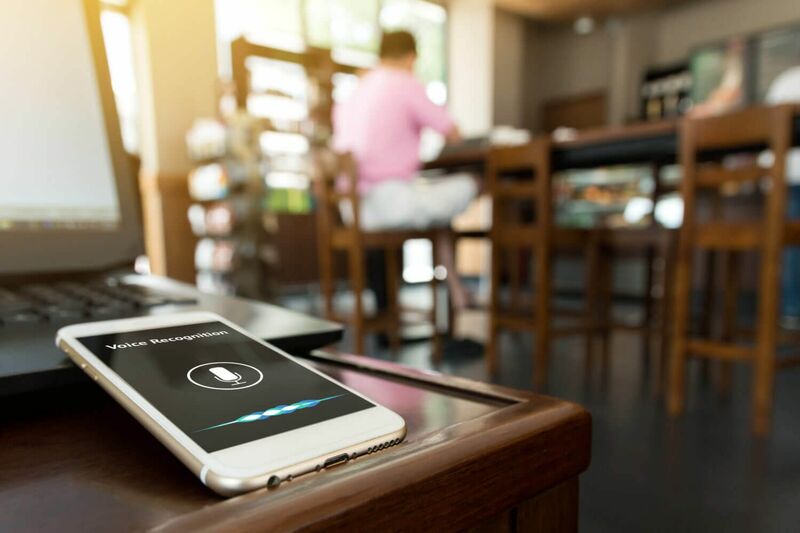 As the recognition of voice search becomes more authentic, the capabilities of these platforms will expand, and customers will reap the benefits of improved search results. Things have come full circle since the first Siri search was made. Gone are the days of needing to speak loud and clear with a few simple keywords. Rather than using disjointed sentences to appease Siri, it’s better to use longer sentences to ensure results are more accurate. It’s about searching as you would naturally speak. Top tip: One way to add natural language to your website is to include a Q&A page – using words that people actually speak (versus type into a search engine). Make your content natural and question-based to ensure you are targeting people who use voice search to find your business. Most people when they visit an area for the first time will search for a business they want to find. They will say something like “Where are the best restaurants near me?” In this case, you want to appear at the top of the results page. Top tip: This one is straightforward; you want to optimise your website for “best restaurants in…” which can be a highly competitive key phrase, we’d expect! Instead, consider “best pizza restaurant in…” – using a specific keyword that relates to your business gives you a higher chance of being found for ‘near me’ searches. If you think about it, voice search and mobile devices go hand in hand. With the number of voice searches on mobile growing every day, it only follows that your website is optimised for mobile search as well as all other devices. Top tip: A good place to start is optimising your content for mobile search, which is easier said than done (trust us)! Since reading this article, you have gone away, updated your content with all the relevant search terms and even included new landing pages – excellent! But, that’s not where it ends we’re afraid. You’ll also want to publish content that reads well on mobile. The bottom line is that people read things differently on a mobile device or tablet. The biggest reason people use mobiles for search? Convenience! It’s an on-the-go search that doesn’t require sitting at home on a desktop to find the answers. They don’t want to be scrolling through your content for hours on end to find what they are looking for. Make sure you break up your pages by using short paragraphs, subheadings, bullet points and images. The power of the visual… now, that’s an article for another day. Want to find out how your website performs on mobile devices? Use our free audit tool! It’s a little premature to claim the death of keyboard search, but it’s clear that voice search is a growing trend that isn’t going away anytime soon. The good thing is that we have a team of experienced search engine specialists who have a proven track record of growing brands online. We keep ahead of the competition to ensure the best results for our clients. Get in touch and start building your online presence with help from some of the best in the business.